As our experiences become increasingly mediated by digital technologies, direct sensory perception and appreciation of the world have become all the more important. The sound of a voice, the glimpse of a painting, the taste of food, the touch of fabric, the scent of a flower—all stimulate the senses. According to classical and Arab philosophy, the five outer senses—sound, sight, taste, touch, and smell—are directly connected to the inner senses that define us as human beings: understanding, imagination, and memory. Some works, such as manuscripts of the Qur’an, were made in the service of the faith and were frequently recited and viewed in public. Other creations were intended for personal enjoyment and contemplation. 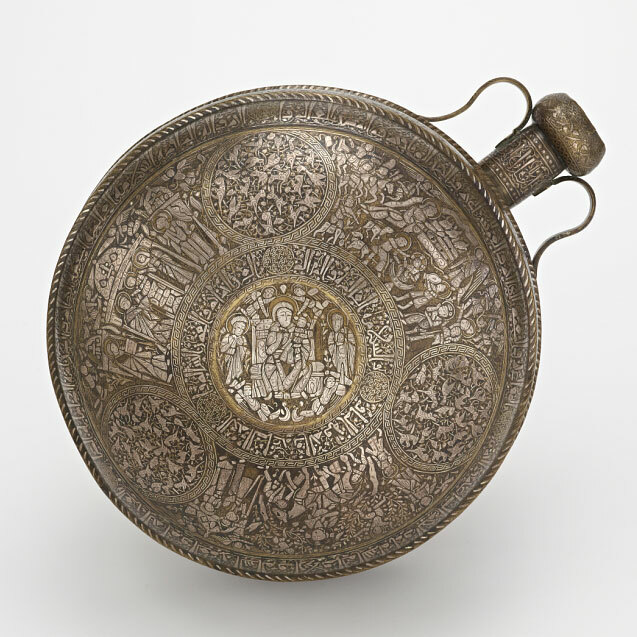 As artists, objects, and ideas moved across the Islamic world—a vast geographic span from Morocco and Spain to the islands of Southeast Asia—certain formal and sensory features spread across borders. Still, every region, province, and even city developed its own artistic language with rich sensory resonances, many of which are explored in these galleries.